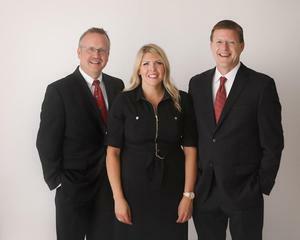 When you work with Stuart, Greg and Kristin of Northwest Dakota Financial Associates, you will have an entire team of professionals focusing on what is important to you. Our practice includes: • A team approach with financial guidance based on your values and goals. • Core values of faith, making a difference, integrity, and communication. • A spectrum of solutions, including family and income protection, retirement accumulation and income strategies, estate strategies, wealth management, legacy strategies, and small business benefits and planning. We’ll help you make decisions by getting to know what really matters to you. It is our goal to help you fulfill your financial dreams. We see money as a tool, and through this lens can accomplish more in bringing you real satisfaction.